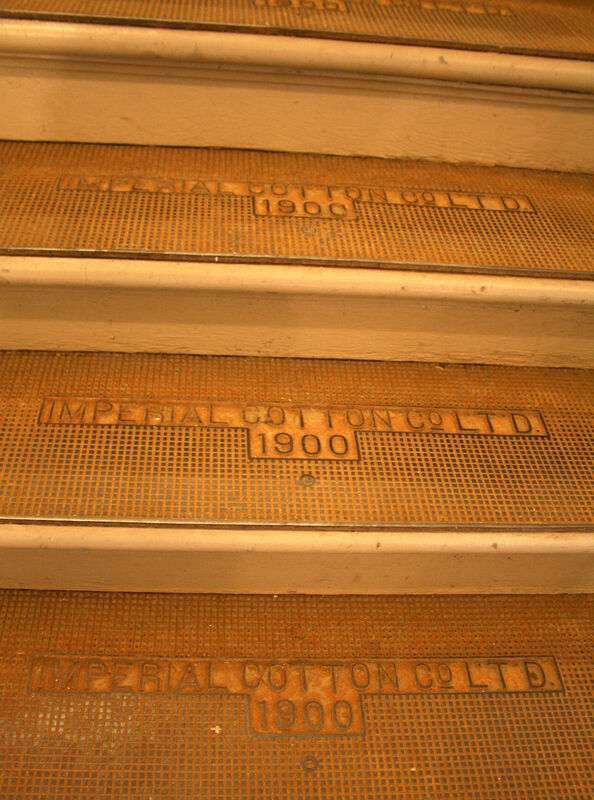 The stairs have original metal stamped details. 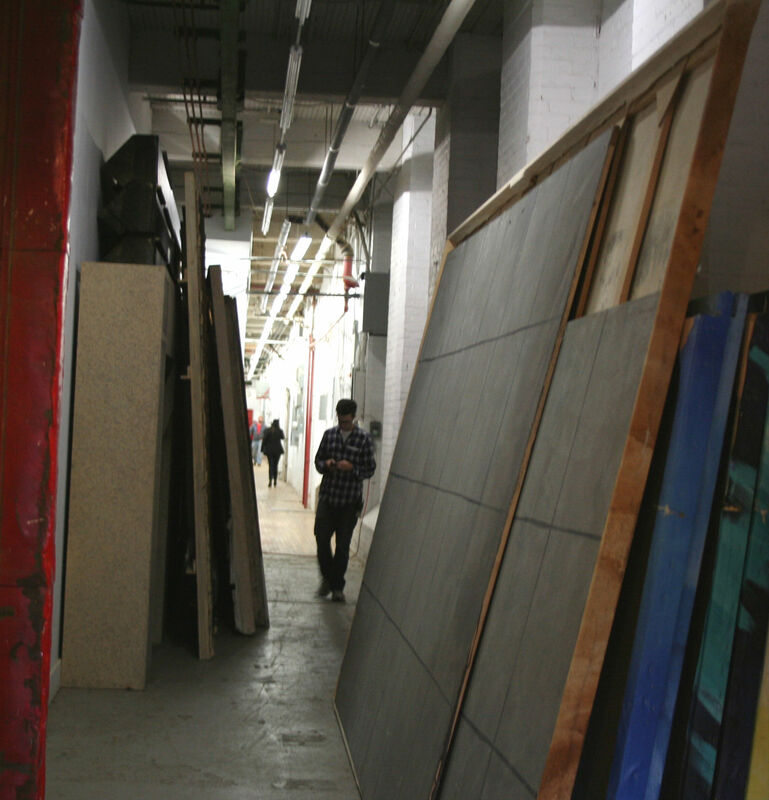 This is a hallway where a few video production companies work out of. 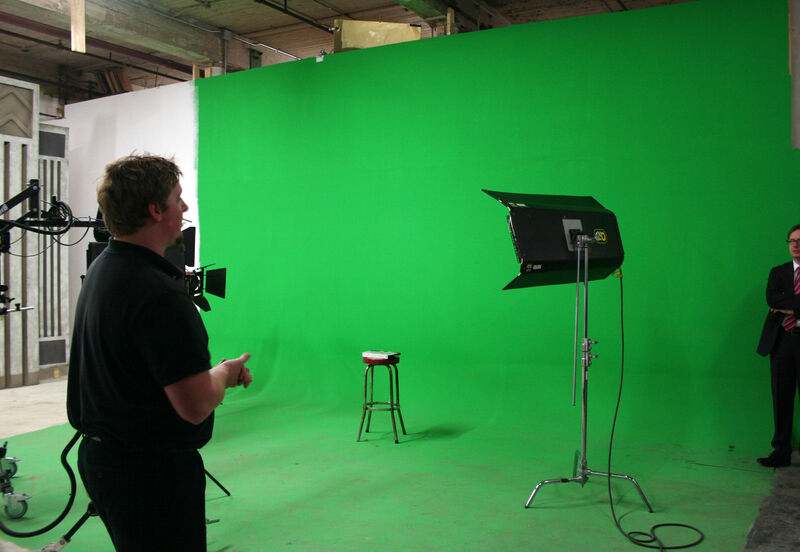 Here is a green screen used for filming large scale productions for movies and television shows. Gorgeous windows that are being installed throughout the complex. 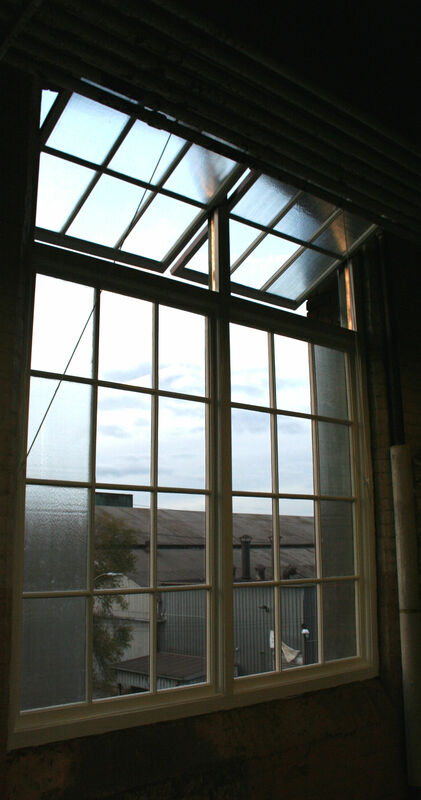 Originally the windows were small because the employers did not want the employees to be distracted by the outside world when working. 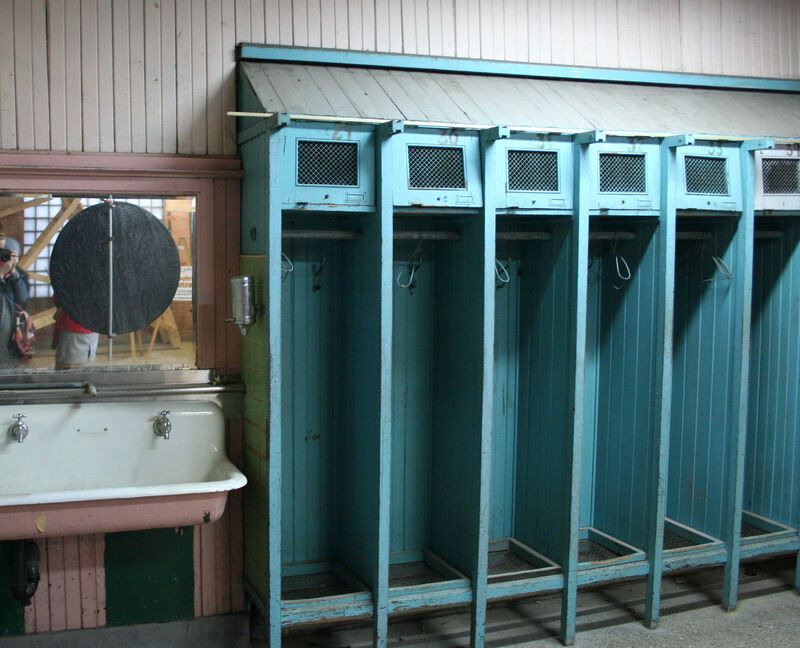 Original locker room from the days when employees filled the mill. 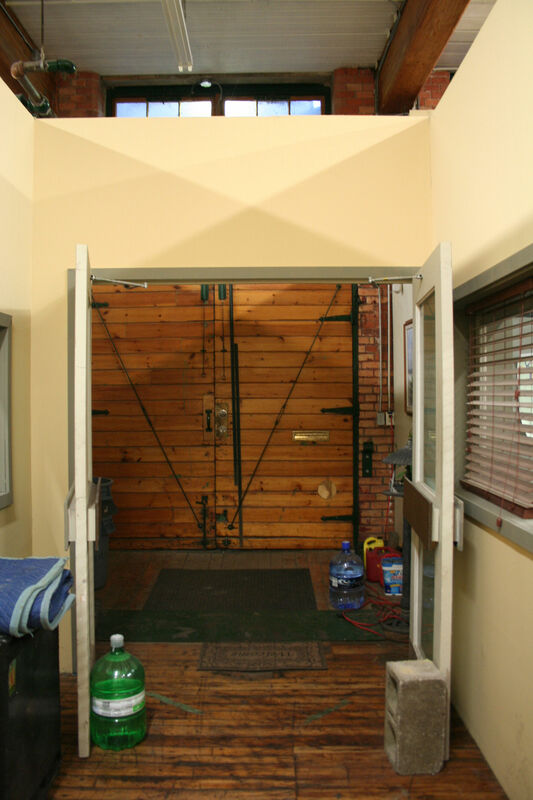 Original big wooden loading doors all over the place. Same set as the police station – super creepy – but so interesting! This is a set for a television show. 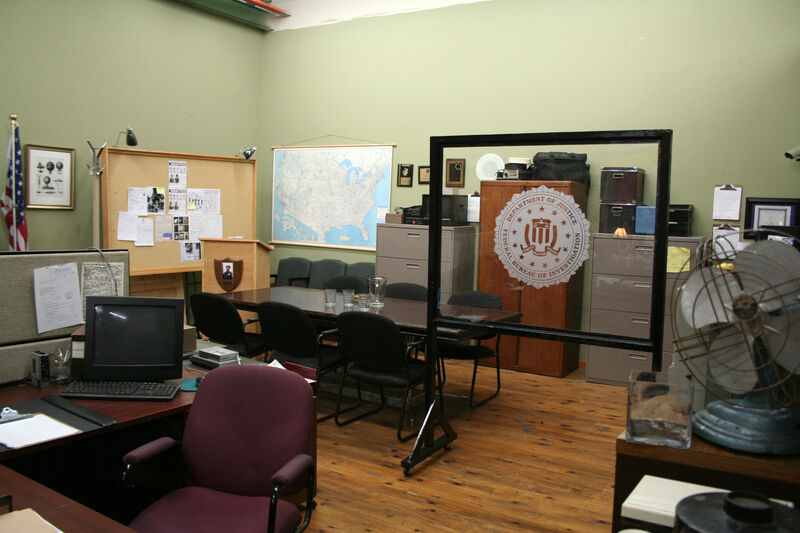 The recreated this room to look like an FBI police station. Original loading elevators on all sides of the building. 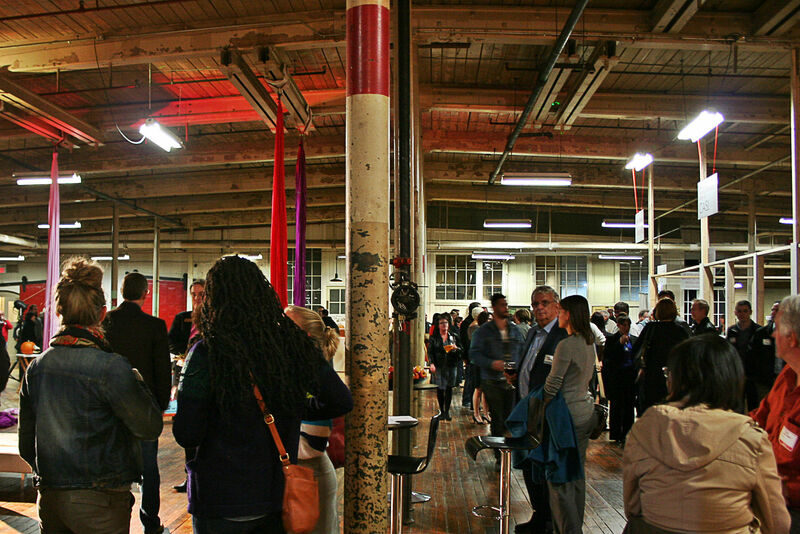 I rode one up with a few people to a really neat artist space. 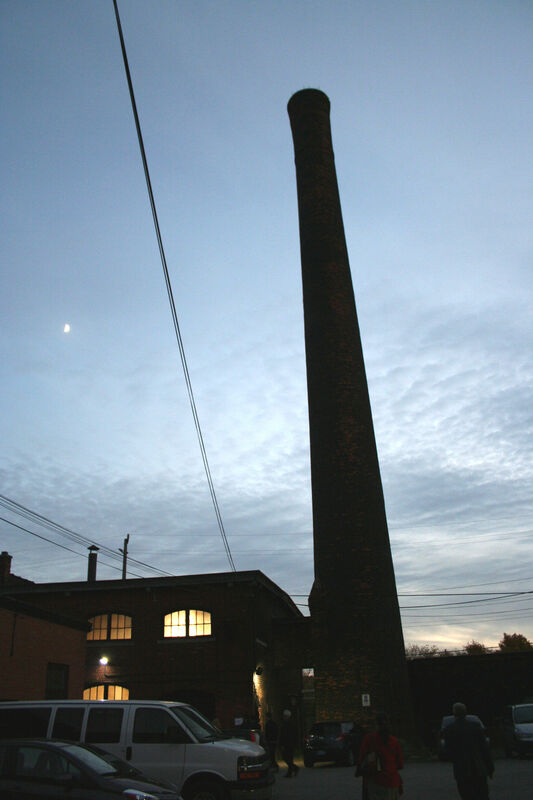 This is the original boiler house for the mill. Now home to a circus school. 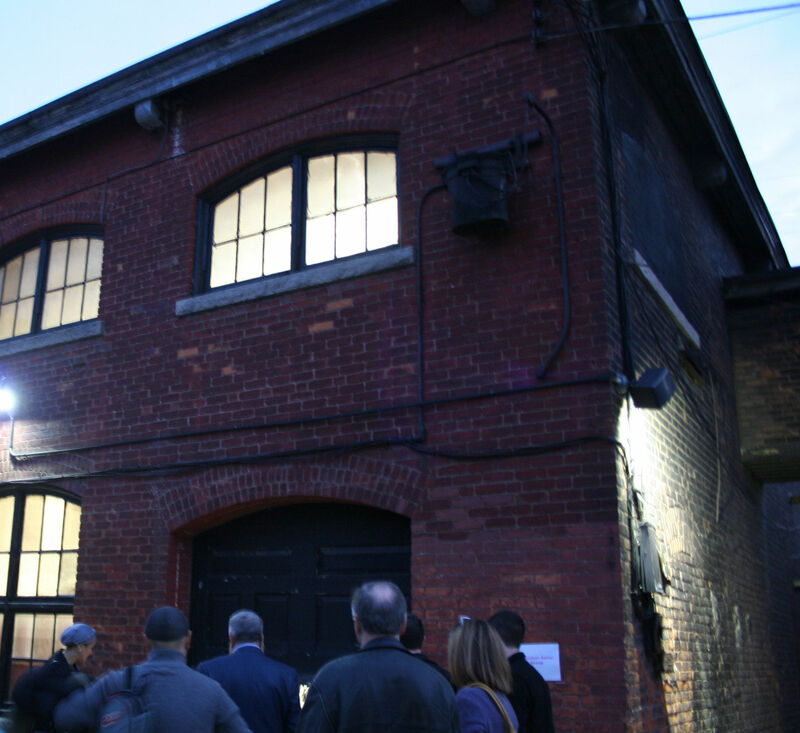 Our tour took us out into the courtyard where we headed to the boiler house. 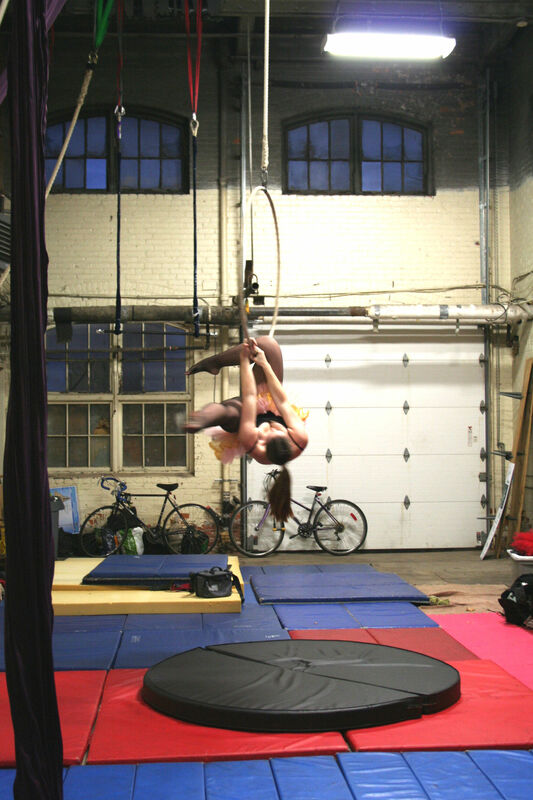 We were treated to a live performance by this trapeze artist who wrapped her body around a hula hoop in the air. Impressive? Yes. Would I ever do it? No. COULD I do it? Probably not. Well I found it. 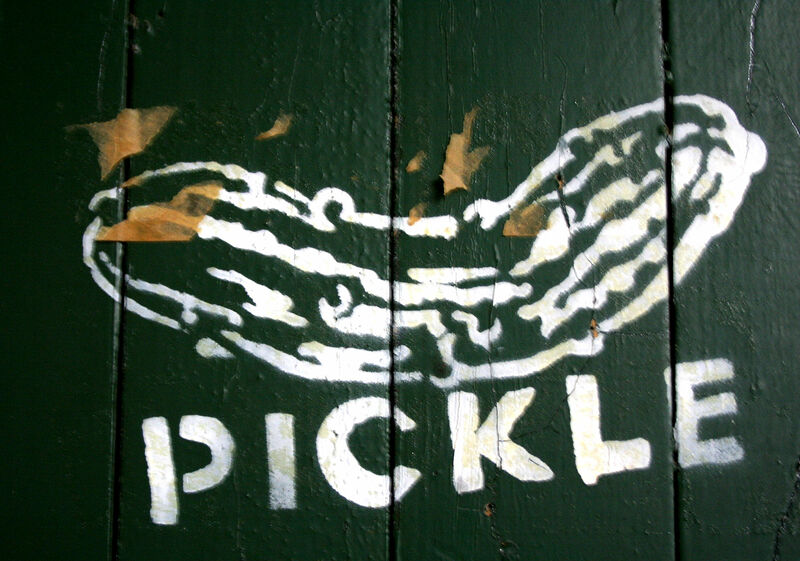 Sprayed on my way up to see more studios. 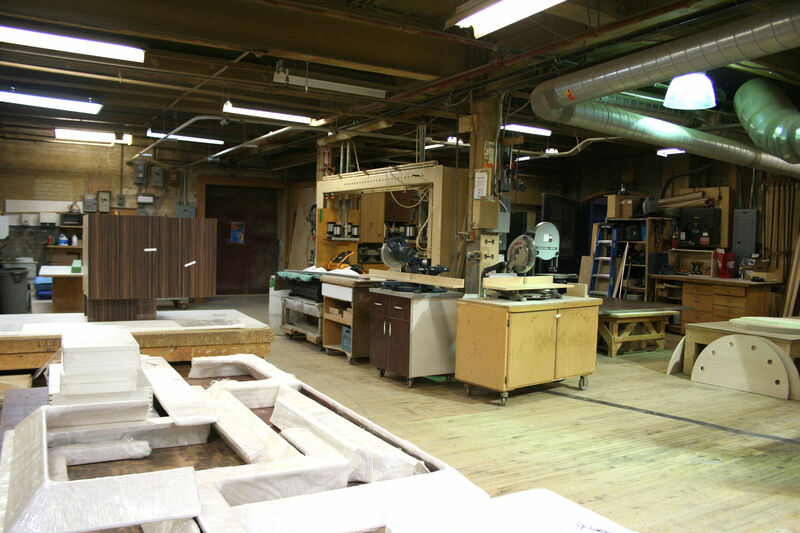 There is a cabinet shop that works out of the building – has been in business for over 50 years – apparently 45 of them have been in 270 Sherman. I love big saws!! 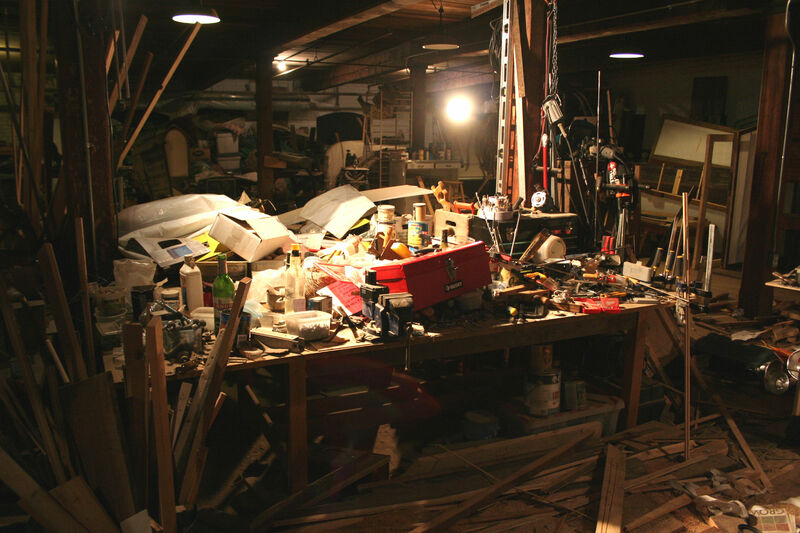 We were given a sneak peek into this insane workspace. 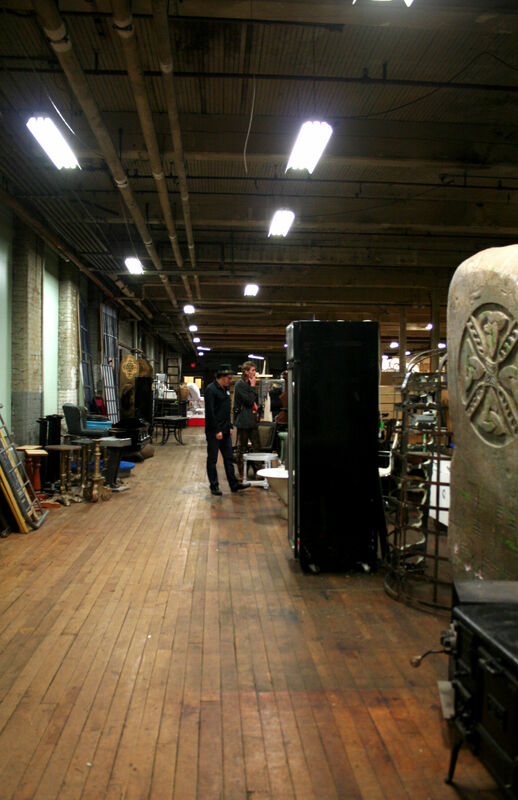 It was an artist collective where they were making big installations for the city. Very interesting, very messy. 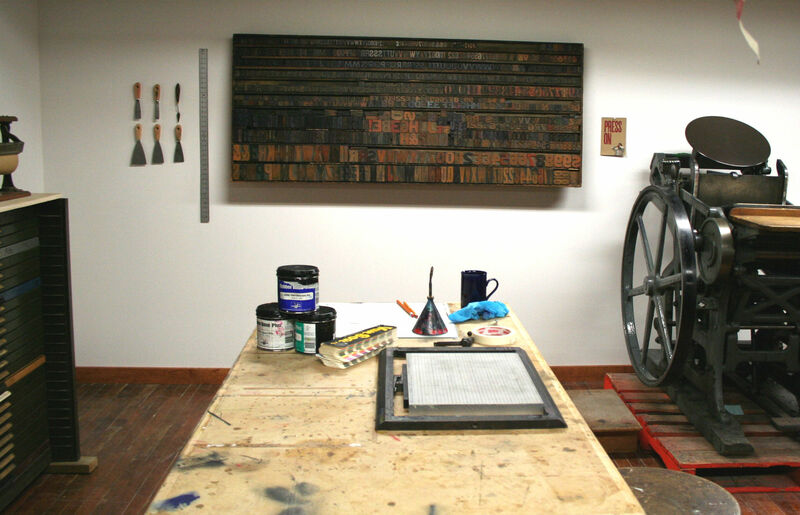 A fabulous letter press workshop (and potential new friend Sara’s) space. Another London”er” who also went to BealART! She picked up the equipment from a person retiring form the business. The main mill. 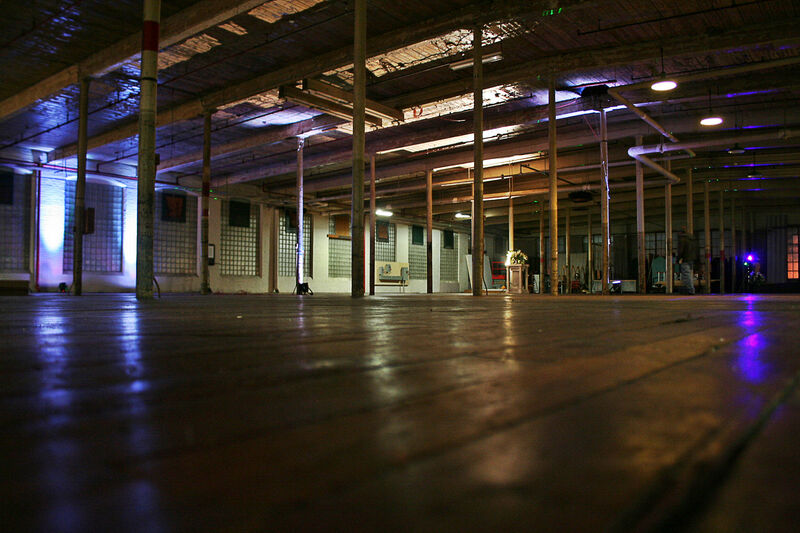 The pictures do not do it justice for the sheer grandness of the space. 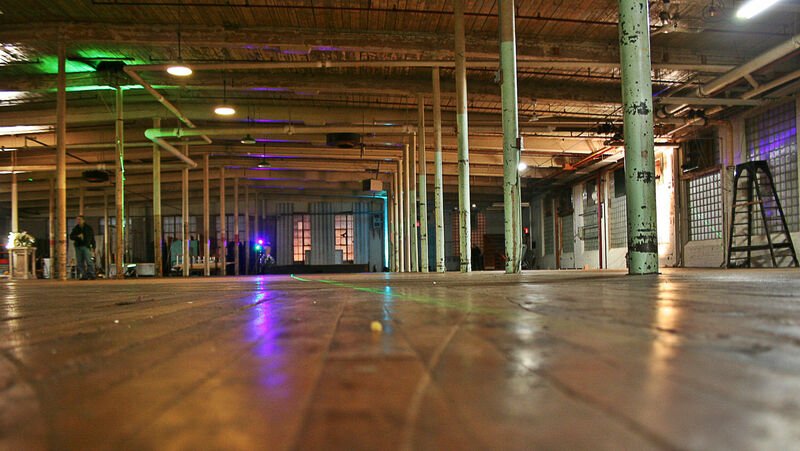 Would be perfect for a rave with 2000+ people.